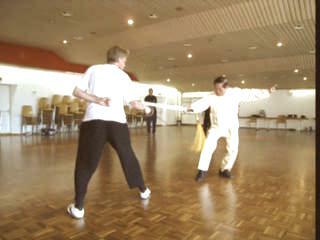 A Chinese sword (jian) is different from a saber (dao). Indeed a tell-tale sign that a person does not know how to use a sword is when he uses it like a saber, like using it to block a heavy weapon, which is not uncommon in kungfu movies. 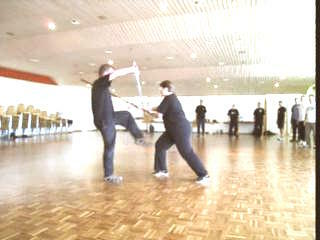 This will result in the dainty sword being broken into pieces. On the other hand, how would you use a sword against an even lighter and faster weapon like a rapier? Whereas you use the comparative lightness of the sword against a heavier weapon, here you use the comparative heaviness of a sword against the lighter weapon to neutralize the advantage of its speed. 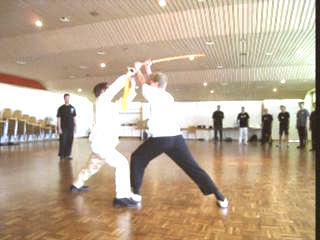 You also make good use of the sharp edges of the sword, which a rapier lacks. 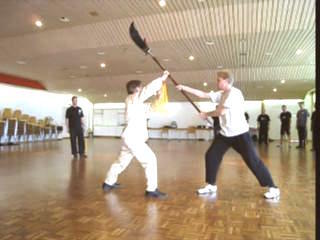 The Sword against Heavier as well as Light Weapons from Wong Kiew Kit on Vimeo.